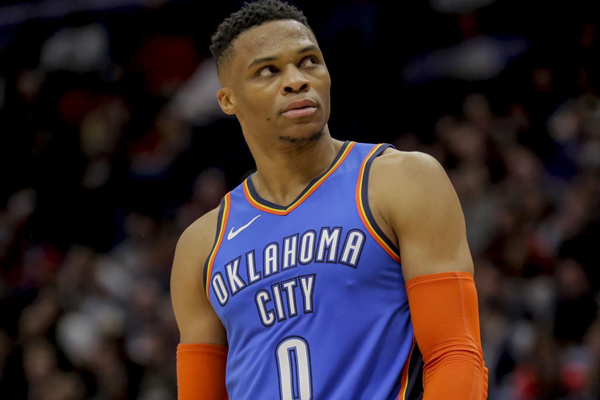 According to the Athletic, Russell Westbrook of the Oklahoma City Thunder, has been suspended one game without pay for receiving his 16th technical foul of the 2018-19 season. Under NBA rules, a player or coach will be suspended without pay for one game once he receives his 16th technical foul of the regular season. For every two additional technical fouls received during that season, they will be suspended without pay for an additional game. Westbrook was given the technical with 3:29 left in Saturday’s second quarter against the Golden State Warriors for body checking Klay Thompson and then complaining about an earlier non-call. He will serve his suspension Monday, March 18 when the Thunder plays host to the Miami Heat. According to ESPN’s Bobby Marks, Westbrook’s suspension will cost him $245,891 in salary. It will also save the Thunder $522,521 in luxury tax payments.